We've had a hint of summer here in the last couple weeks with the end of soccer, gardening, lemonade stands, thunderstorms, and critters by the dozens... And now the countdown is on. Only 5 days of school left, if half days count. I'm stoked for the carefree, unstructured days ahead. If only the kids had the same vision as me, ha! And as a way of saying thank you for stopping by, here's a FREE template download! It could be a great layout for a newsletter, scrap page or blog post. Just drag and drop your favorite papers or photos. You can find my step by step clipping instructions here. If you have a chance to try it out, make sure to let me know so I can share your work. My cohosts, Rebecca of Bumbles & Light and Kristi of Live and Love out Loud and I have a special gift for you all- the Leap into Spring! Photo Challenge Photograhy Tips and Tutorials eBook. 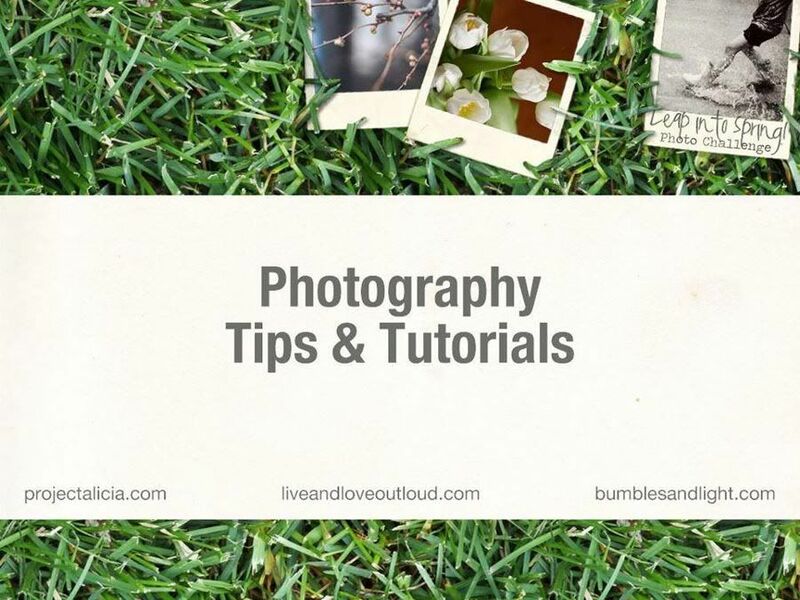 We've compiled the photography tips and tutorials shared throughout the challenge, threw them into a lovely e-book and wrapped it up with a pretty little bow, especially for you. Thank you to all who participated in our Spring Challenge. You are simply awesome, Alicia - thank you! wow only 5 days left! We still have a month left of school! Thank you for the template. Love your son helping your husband and the bunny...so cute! Aw, cute bunny! I need to look into that ebook, thanks! Oh that's so cool! Thanks for the template :) So creative! This is lovely. You girls are rather awesome putting together an ebook and all. Thank you !! Looks like you have plans for an awesome summer! Neat template. thanks! 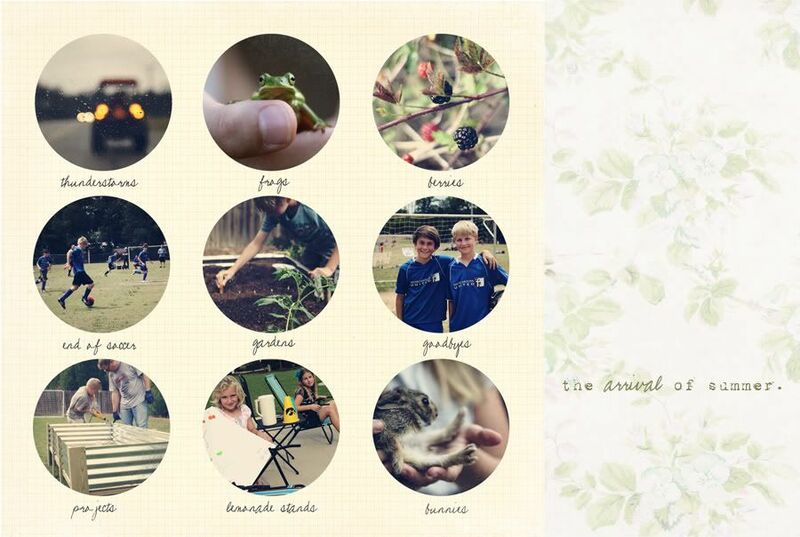 love that frog photo...but i love frogs :) can not wait to see your summer photos!!! I love that little frog! I always love your photos! You take simple things and make them look extraordinary! And that picture of the frog is super cute! Love these photos. thanks for the template. I love, LOVE the template. Love. Great freebie! I am going to pin it! Thank you, Alicia, for the template and instructions. I love your photos and blog site. I wish I had more time to do the photo projects. Work has a way of taking up my time, haha. So excited summer is almost here!! Thanks for the template!!! The last day of school for our kiddo was last Friday. She's enjoyed sleeping late as only a teenager can. 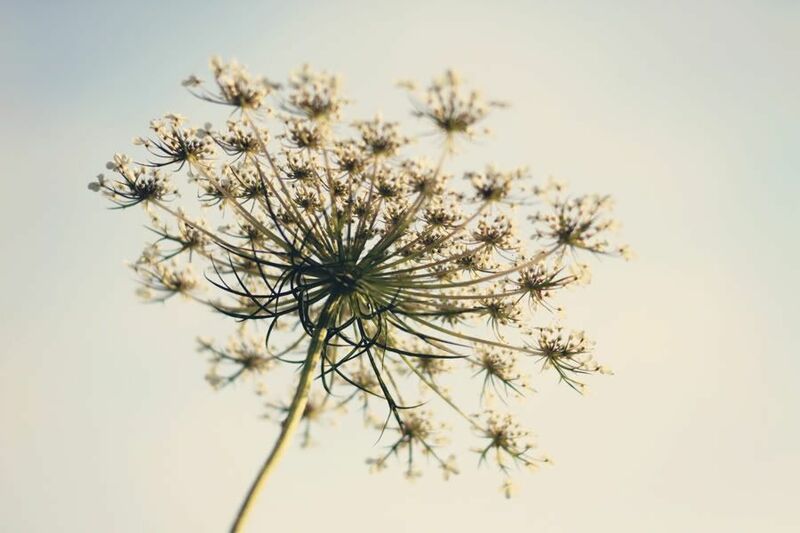 The Queen Ann's Lace is beautiful. I realized recently how interesting they are from the bottom. It really does pay off to change your perspective occassionally. Beautiful Queen's lace shot. Thanks for the template too. Great photos Alicia! I love the big one... beautiful! great photos! we have been getting a taste of summer weather already here in NE ohio. thanks for the template download! can't wait to try it out. Wonderful ebook! Thanks for sharing it. I love your per-spek-tiv on the flower. Looking forward to reading the ebook! Thanks for sharing the template! Love the pics! Very cool template!! Thanks!! Can't wait to see what you all find to fill up the time this summer. I'm sure it will be spectacular! This is beautiful, love how you recorded the changing of the season. Great photos! The garden picture reminds of the work I have to outside in my garden. I picked up the flowers now time to find time to plant. I love this and was JUST looking for ways to make a collage so this is perfect timing! I love the summer template!!! Happy Wednesday Alicia! Your photos are always so beautiful! Thank you for sharing this great template! Super excited to try out this template! Love your pictures...frogs and bunnies are fav! Happy WW!